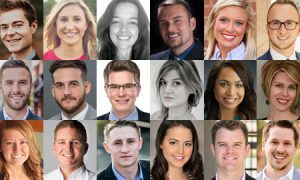 The awards recognize Coldwell Banker affiliated real estate professionals who demonstrated exceptional sales production and leadership throughout the past year. MADISON, N.J. (Feb. 20, 2018) – Coldwell Banker Real Estate LLC has announced its 2017 year-end award recipients for numerous company, team and agent categories in North America. The brand also celebrates the winners of its top international awards, which recognize affiliated agents that display leadership, business excellence and service to others, announced during the Generation Blue Experience® in October 2017. Total Adjusted Gross Commission (AGC) in North America Chris Cortazzo, Coldwell Banker Residential Brokerage, Malibu, Calif.
Total Units in North America Mary Wallace, Coldwell Banker Residential Brokerage Oak Lawn, Oak Lawn, Ill. Rental Income in North America Chris Cortazzo, Coldwell Banker Residential Brokerage, Malibu, Calif. This year, Chris Cortazzo was named the top producer on AGC (adjusted gross commissions) for an individual sales associate. Chris has achieved this honor nine times in the past eleven years. Total AGC in North America Night-Pinel & Co Team, Coldwell Banker Residential Brokerage Winter Park, Winter Park, Fla.
Total Units in North America The Lynne Vandeventer Team, Hubbell Briarwood, Okemos, Mich. Rental Income in North America The Irene Dazzan-Palmer & Sandro Dazzan Team, Coldwell Banker Residential Brokerage, Malibu, Calif.
Total AGC in North America The Jim Allen Group, Coldwell Banker Howard Perry and Walston, Raleigh, N.C.
Total Units in North America The Jim Allen Group, Coldwell Banker Howard Perry and Walston, Raleigh, N.C. Rental Income in North America The Jill Biggs Group, Coldwell Banker Residential Brokerage Hoboken, Hoboken, N.J.
11-20 Sales Associates for AGC Income in North America Coldwell Banker Residential Brokerage – Boston-Comm Ave., Boston, Mass. 21-35 Sales Associates for AGC Income in North America Coldwell Banker Residential Brokerage – Santa Monica Montana, Santa Monica, Calif.
36-50 Sales Associates for AGC Income in North America Coldwell Banker Residential Brokerage – Malibu West, Malibu, Calif.
51-100 Sales Associates for AGC Income in North America Coldwell Banker Residential Brokerage – Cupertino, Cupertino, Calif.
101+ Sales Associates for AGC Income in North America Coldwell Banker Residential Brokerage – Beverly Hills North, Beverly Hills, Calif.
21-35 Sales Associates for Total Units in North America Coldwell Banker Lunsford Real Estate, Muncie, Ind. 36-50 Sales Associates for Total Units in North America Coldwell Banker Boyd & Hassell, Inc., REALTORS®, Hickory, N.C.
51-100 Sales Associates for Total Units in North America Coldwell Banker Action, Schofield, Wis.
101+ Sales Associates for Total Units in North America Coldwell Banker Sea Coast Advantage, Wilmington, N.C.
No. 1 Affiliate Company for AGC in North America Coldwell Banker BAIN, Bellevue, Wash.
No. 1 Affiliate Company in Total Units in North America Coldwell Banker The Real Estate Group, Joliet, Ill.
No. 1 Brokerage Company in AGC & Total Units in North America Coldwell Banker NRT LLC, Madison, N.J.
Total AGC in North America Bryce Pennel, Coldwell Banker Residential Brokerage, Beverly Hills South, Beverly Hills, Calif.
Total Units in North America Kerry Carr, Coldwell Banker Preferred – Conshohocken, Conshohocken, Pa. The Coldwell Banker network honored the winners of its top international awards at the Coldwell Banker Generation Blue Experience®, the company’s international business conference, in October 2017. The Chandler Barton, Preserving the Trust and Hero of the Year awards recognize the sales associate, manager or broker/owner affiliated with the Coldwell Banker brand who best exemplify leadership, business excellence and service to others. 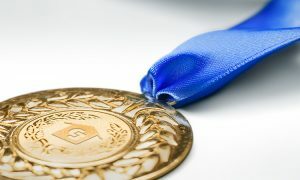 The winners were nominated by their peers and selected from approximately 91,000 affiliated sales professionals worldwide. Named after the late Chandler Barton, president and chief executive officer for Coldwell Banker Real Estate from 1989 to 1996, this accolade honors a sales, associate, manager, broker, or owner who exemplifies the legendary “can do” attitude of Chandler Barton. Barton passed away in 2017 but his ongoing legacy leaves a lasting impression on the Coldwell Banker network, inspiring them to overcome obstacles and achieve goals. Gökhan Taş’s passion for sales introduced him to the real estate industry in 2006 where he started out as a broker after finishing medical school. After deciding that selling real estate was his true passion, Taş began to pursue his dream. Three years into his career, he ranked as the number one commercial sales agent for both Turkey and Europe and in 2013 joined Coldwell Banker as President of Coldwell Banker Turkey. In just four years leading Coldwell Banker Turkey, Taş has grown the brand from six offices to 125 with a network of 1,500 real estate professionals in an especially challenging time for Turkey. Despite the turbulence the country has faced over the past two years, Taş has persevered, determined to exemplify the profound strength of his nation. The Preserving the Trust Award honors a member of the Coldwell Banker® network who has consistently and successfully exemplified the heritage of high standards, trust, loyalty and customer service throughout his or her affiliation with the Coldwell Banker brand. Robin Peterson’s 40 years in the real estate industry were spent on a fast track to success. In her time as president of Coldwell Banker Burnet from 2000 to 2017, Peterson led the organization to become the top real estate company in the Twin Cities and dedicated her free time to improving the real estate industry. She earned the Graduate, REALTOR® Institute (GRI) designation, served on the Board of Directors for the Minnesota Association of REALTORS® and the Minnesota Home Ownership Center and is a member of the Minnesota Business Partnership. Peterson was proudly recognized with several leadership accolades for her professional achievements, including being named on the list of 51 of the Twin Cities Most Influential Women by the Minneapolis / St. Paul Business Journal. Now in retirement, Peterson still holds her real estate license with Coldwell Banker Burnet. The Coldwell Banker brand is known worldwide for its charitable efforts. The real estate company and network support the efforts of a seemingly limitless number of diverse organizations ranging from Adopt-a-Pet.com, Habitat for Humanity and Toys for Tots to hundreds of localized programs. The Coldwell Banker Hero of the Year embodies the brand’s passion for giving back to the communities we serve. Sabrina Cohen is an inspiration to the Miami Beach community and Coldwell Banker community alike. In addition to being a successful sales representative with Coldwell Banker Miami, Cohen dedicates countless hours leading the Sabrina Cohen Foundation (SCF), a 501© (3) nonprofit organization that’s dedicated to developing adaptive fitness and recreational programs that provide a better quality of life for individuals living with paralysis and various disabilities. As someone who has been living with a disability for more than twenty years, she has a firsthand understanding of how to accommodate for special needs. In May of 2016, Cohen helped launch “Adaptive Beach Days” a twice-a-month Miami Beach program that offers disabled people a chance to safely experience the ocean. 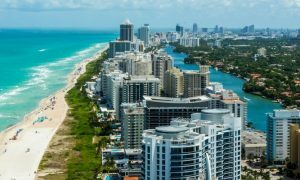 Additionally, the SCF is working with the City of Miami Beach to create the first fully-accessible beach, playground and adaptive recreation center for those living with special needs. Powered by its network of over 91,000 affiliated sales professionals in 3,000 offices across 47 countries and territories, the Coldwell Banker® organization is a leading provider of full-service residential and commercial real estate brokerage services. The Coldwell Banker brand prides itself on its history of expertise, honesty and an empowering culture of excellence since its beginnings in 1906. Coldwell Banker is committed to providing its network of sales professionals with the tools and insights needed to excel in today’s marketplace and is known for its bold leadership and dedication to driving the industry forward with big data, smart home expertise and virtual reality. Coldwell Banker was the first brand to develop a proprietary listing application, CBx, which harnesses big data to analyze markets, target buyers and provide a platform for agents to create unique and effective marketing plans for each listing. Blue is bold, and the Gen Blue network has an unbeatable edge. To join Coldwell Banker and unlock the possibilities of Gen Blue please visit www.coldwellbanker.com/join.